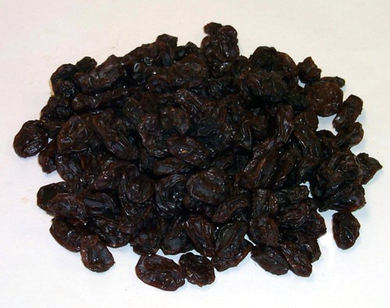 Raisins were discovered accidentally drying on vines many thousands of years ago. Without the dipping process the fruit takes longer to dry so the same grape with a different drying process leads to a fruit with a different color and distinctive flavor. The caramelizing of the fruits sugars contributes towards producing the distinctive Raisin flavor. Thompson seedless raisins are available in two quality classes: Grade AA or AAA RTU* Grade.